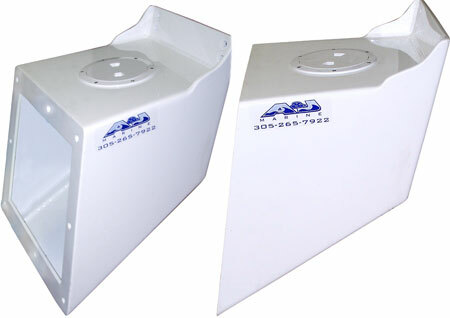 A & J Marine Welding custom builds outboard engine brackets to fit any style of boat. Whether you have a curved transom, full transom or cut-out transom. 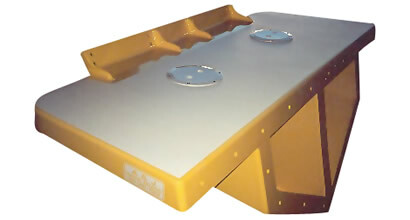 The watertight bracket provides additional floatation, which in many cases allows the boat to float higher than it did before the bracket was installed. Outboard engine brackets serve many purposes. You will see improvement in performance & handling of your boat, as well as better fuel economy. Boats with brackets balances better, go faster with the same power, back down on a fish faster and better, have more room inside, and are safer in rough seas. With the prop further back off the transom, you will see improved performance. You will have extra space in your boat. 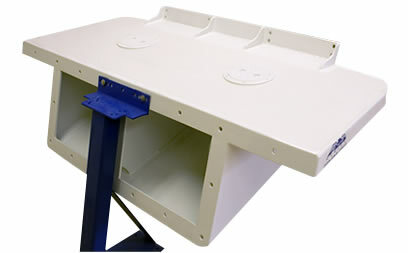 All of our brackets are powder coated, tested to withstand the saltwater conditions. Standards brackets color is white. 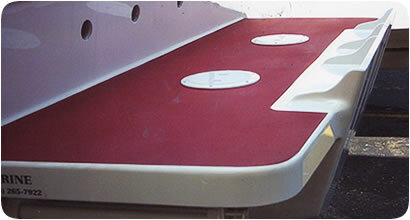 On top of all of the platforms have a non-skid texture for your safety, which comes in white, custom colors to match your boat are available on special custom order. 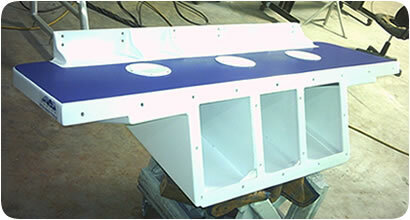 All brackets are pre-drilled for your transom and your engine. A Standard Bracket is a square box, which is flat on the bottom. A Floatation Bracket has a point on the bottom. This helps to level off your boat. We also have available is an installation kit to help you to mount your engine bracket onto your boat. Re-powering from inboards to outboards is our specialty.